"Life is getting better—and at an accelerating rate. Food availability, income, and life span are up; disease, child mortality, and violence are down — all across the globe. Though the world is far from perfect, necessities and luxuries alike are getting cheaper; population growth is slowing; Africa is following Asia out of poverty; the Internet, the mobile phone, and container shipping are enriching people’s lives as never before. 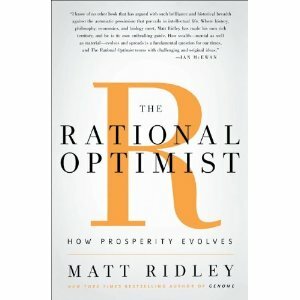 The pessimists who dominate public discourse insist that we will soon reach a turning point and things will start to get worse. But they have been saying this for two hundred years. This bold book covers the entire sweep of human history, from the Stone Age to the Internet, from the stagnation of the Ming empire to the invention of the steam engine, from the population explosion to the likely consequences of climate change. It ends with a confident assertion that thanks to the ceaseless capacity of the human race for innovative change, and despite inevitable disasters along the way, the twenty-first century will see both human prosperity and natural biodiversity enhanced. 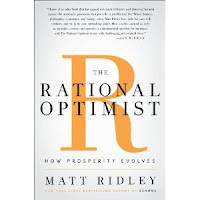 Acute, refreshing, and revelatory, The Rational Optimist will change your way of thinking about the world for the better."